Brazil’s first capital and still considered Brazil’s “capital of happiness” – Salvador is a fantastic mix of history and relaxation. 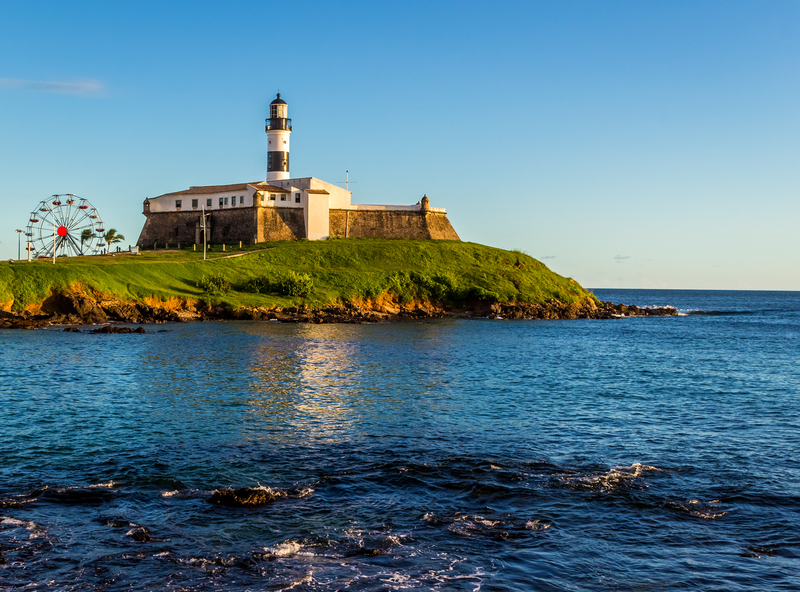 On my first day I strolled along the Barra district, with its magnificent beaches and historical buildings such as the imposing Barra Lighthouse which dates back to the 16th century. Salvador has a predominantly African population, a result of its huge slave trade in the early days of the colony. At one point Salvador had the highest volume of slave trading in the Americas. The surrounding area was sugar plantation territory and fed the demand of the sugar plantation. Given the long history of the area you may expect the beaches to be polluted and I was surprised to find that they weren’t. The sea was clear and the sand glimmered. And best of all there were a range of venders offering umbrellas, snacks and of course beers, to the local beach goers. The temperature was perfect and I could see how people could easily while away the days relaxing here. My hotel was only a short walk from the beach and after a laid-back afternoon I made my way back at sunset. The next day I took a tour of the colonial centre, or Pelourinho as it’s known locally. The area was chosen for the Michael Jackson film clip “They don’t really care about us” and you can see why. 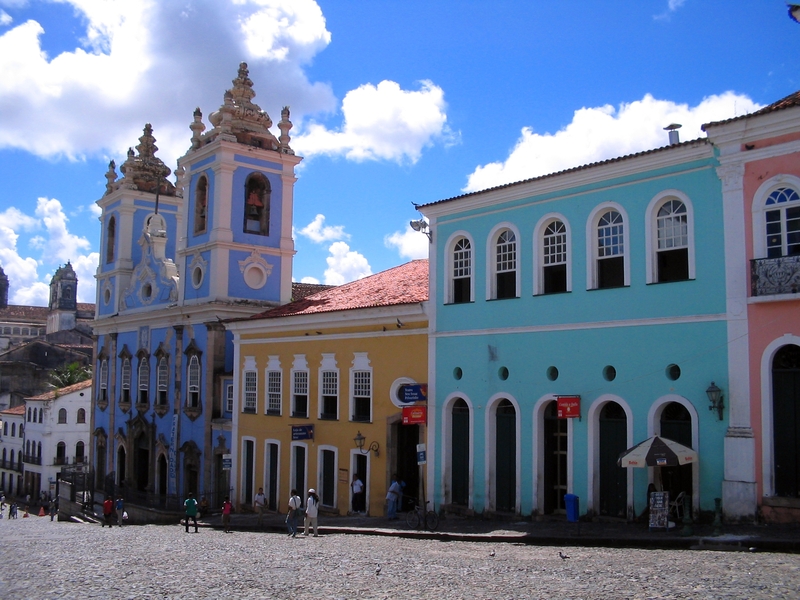 The streets in the colonial centre are so well preserved and so numerous – it’s a credit to Brazil. Having travelled extensively in Latin America I must say that it’s probably one of the best preserved colonial areas I’ve ever seen. Only Cusco (Peru) and Antigua (Mexico) are comparable. Following the tour I went to a local dance performance. I must say it was probably one of the best dance performances I’ve ever seen and the dancers were amazingly athletic. As you may expect, there was quite a lot of capoeira but there were a lot of other dances as well, mostly with African roots but they were all mesmerising to watch. 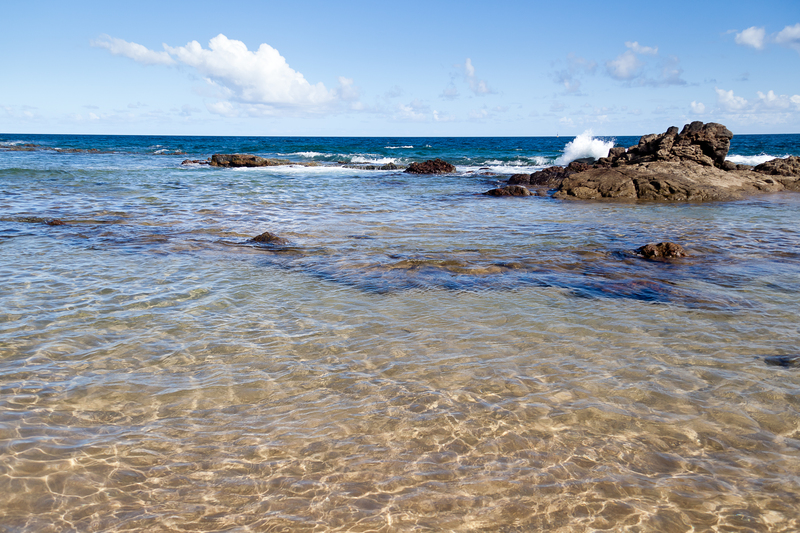 Want to travel to Brazil or any other South American Country? Click here for more information.